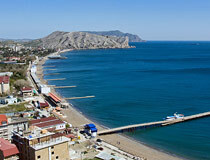 Sudak (Sudaq) is a seaside town located in Crimea. 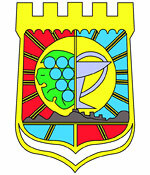 It is a center of wine-making and a resort town. It is located in the middle of the south-east coast of the Crimean peninsula, 47 km north-east of Alushta and 42 km south-west of Feodosia. 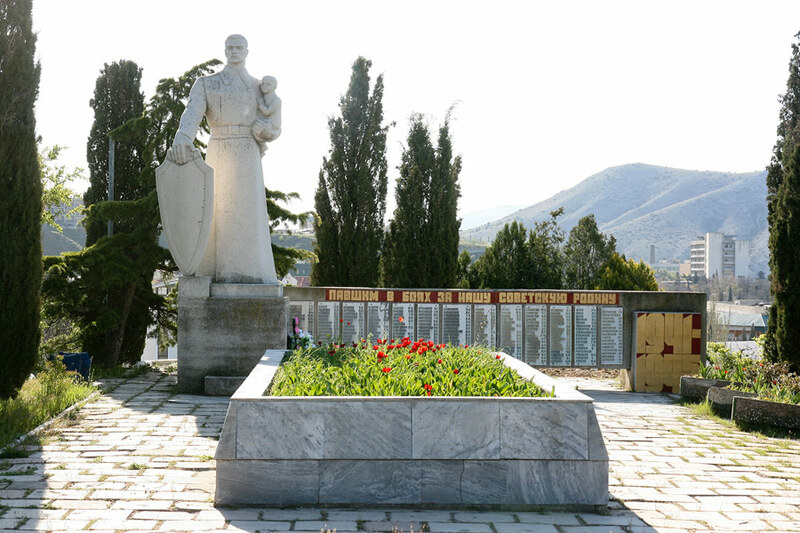 Local time in Sudak city is April 21, 9:13 pm (+2 UTC). 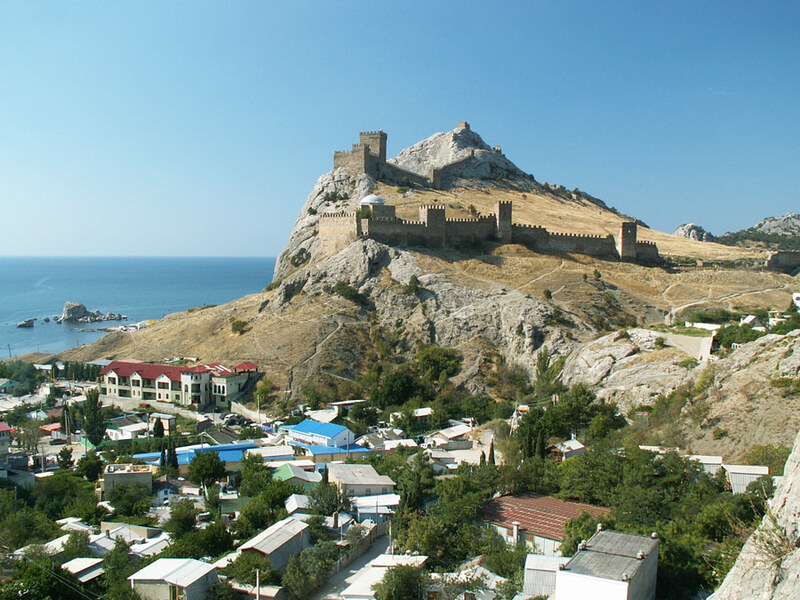 The current status of Sudak is disputed between Ukraine and Russia. De facto, it is controlled by Russia as the entire Crimea. In ancient times, the town was called by different names: the Byzantines called it Sidagios and Sugdeya, the Italians - Soldaya, in ancient Russian sources it is mentioned as Surozh. 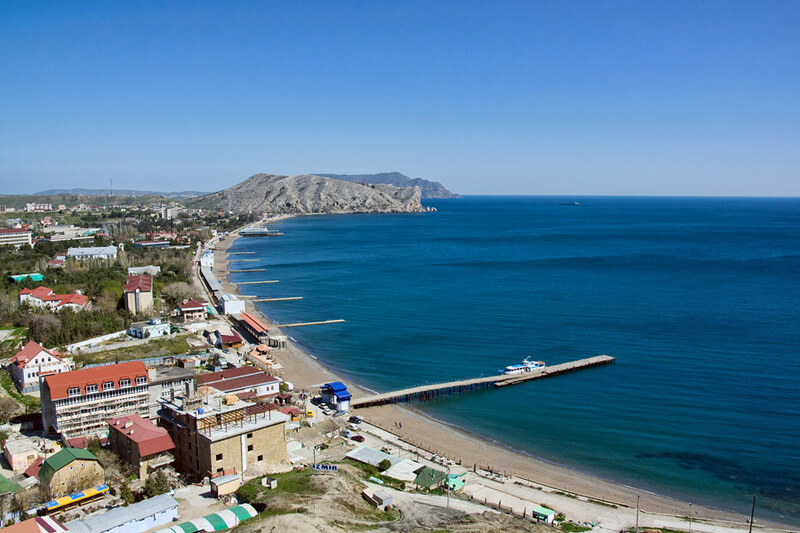 In the Ottoman Empire times, the town received the name Sudak. This settlement was founded by the Alans, presumably, in 212. 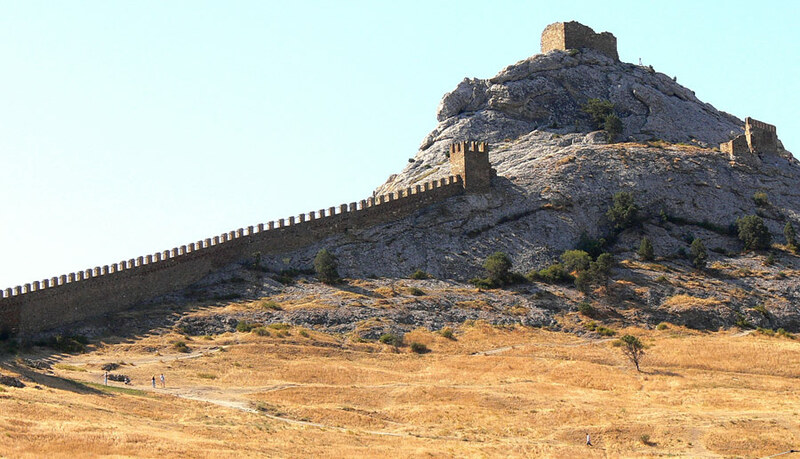 In the 6th century, on the orders of the Byzantine Emperor Justinian I, the fortress was built here. The town became an important trading center and a major transit point on the Silk Road, reaching the highest peak in the 12th-13th centuries. 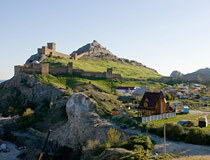 In the 13th-14th centuries, Sudak was ravaged and destroyed by the Mongols, but it was rebuilt quickly. 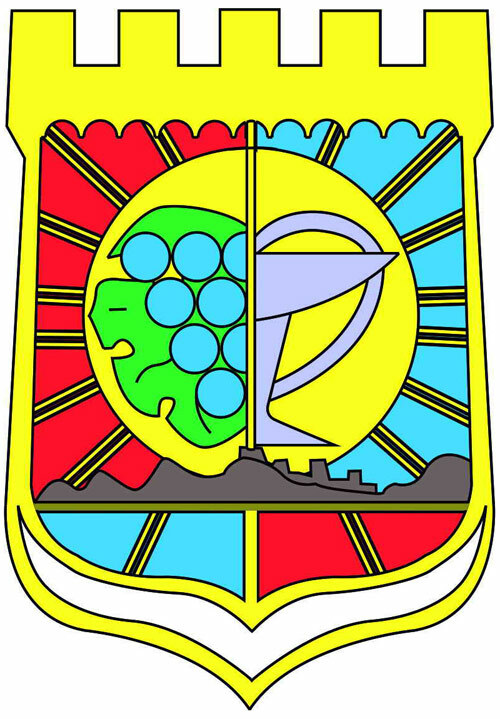 In 1365, the town was conquered by the Genoese and included in the Genoese lands in Crimea. From this era, the towers and city walls called “the Genoese fortress” are preserved. 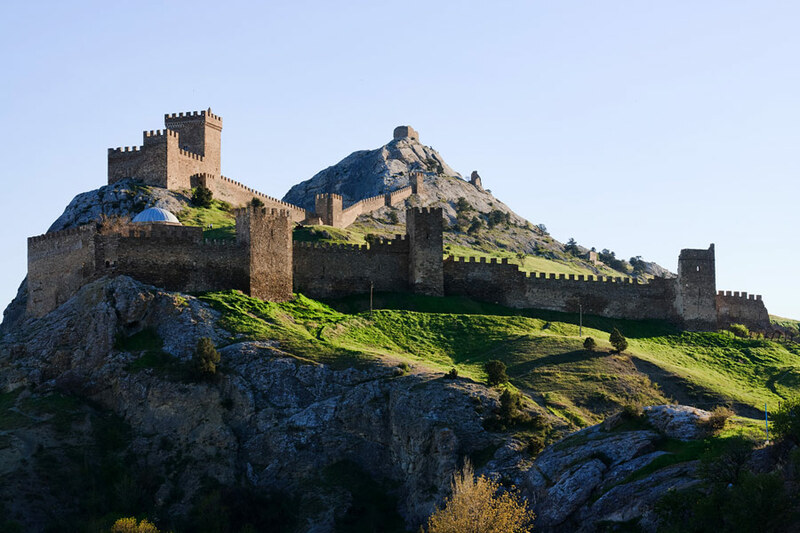 In 1475, together with all the Genoese territories and Orthodox Principality of Feodoro, Sudak was conquered by the Ottoman Empire. During the Ottoman rule, the town lost its military importance and was in decline. 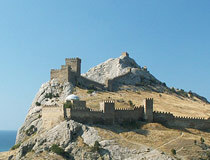 In 1783, Sudak along with the entire Crimea passed to the Russian Empire. 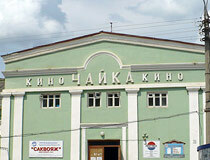 In 1804, the first Russian school of wine-making was opened here. 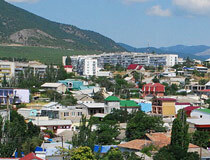 Sudak once again received the status of the town only in 1982. 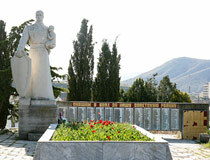 The main specialization of Sudak is wine and rose oil production. Also, the tourism industry play an important role in the local economy. It is a climatic seaside resort. 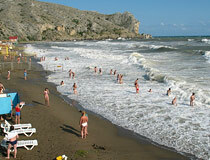 Sudak is the only city in Crimea with quartz sand beaches. The climate is mild, without sudden changes in temperature, dry. The average rainfall is 318 mm per year (in Yalta - 635 mm). 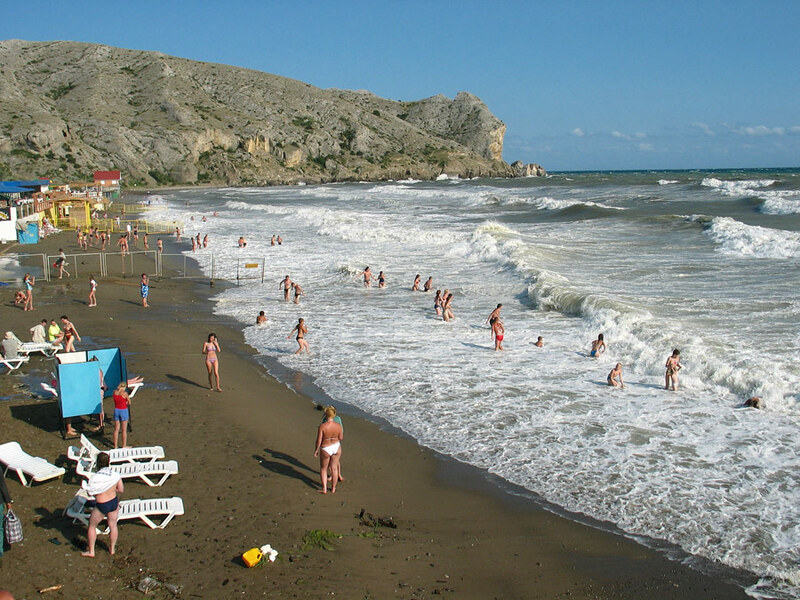 The resort has the smallest number of cloudy days per year (among all the resorts of Crimea) - 84, and the highest number of clear days - 91. In summer, the weather is warm and sunny, a lot of hot and dry, and sometimes very hot days. Especially hot weather is in July and August - up to +38 degrees Celsius. Autumn is warm (warmer than spring) and sometimes cloudy. 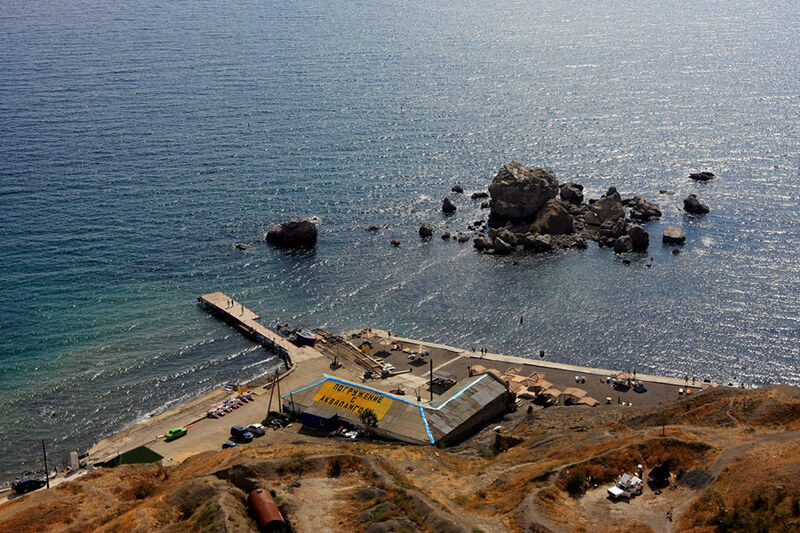 The swimming season is the longest in Crimea - 138 days (from early June to mid-October). The town has a bus station. 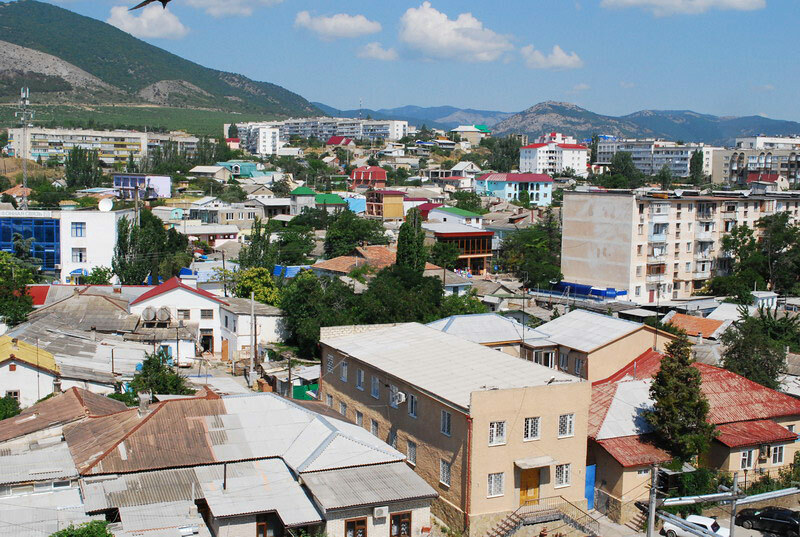 There are buses running to Simferopol, Feodosia, Alushta and surrounding villages. 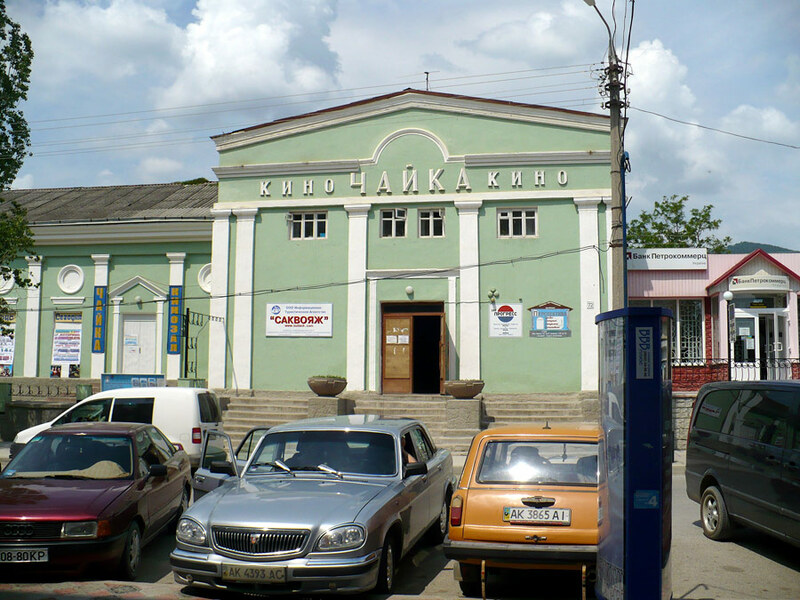 Tickets for trains departing from other cities of Crimea can be purchased in Sudak. The Evangelical Lutheran Church. The church is located in Uyutnoye village on the outskirts of Sudak. In 1804-1805, immigrants from Wurttemberg founded a German colony here, which lasted until the middle of the 20th century (before deportation of the Tatars, Germans and other nationalities by Soviet authorities). Today, Christians-Baptists conduct worship in this historic building. 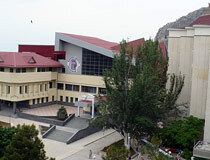 Also, there is an exhibition hall of the museum-reserve “Sudak fortress” here. Nearby, you can find the lapidary and the Byzantine basilica of the 10th-12th centuries. Uyutnoye village, Primorskaya Street, 13. The Church of the Intercession. This church was built in 1819-1829. It was repeatedly visited by representatives of the Russian imperial family. 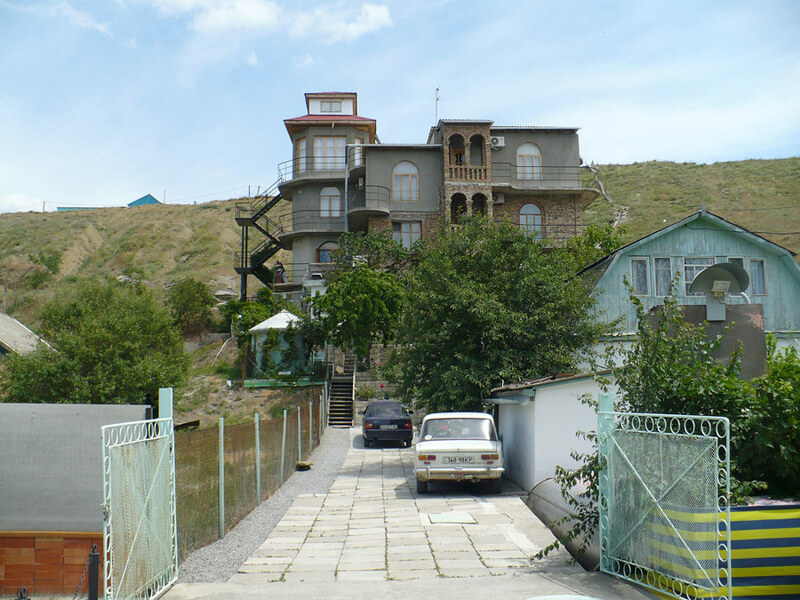 In 1990, the church was returned to the Orthodox community of the town. Lenin Street, 27. Genoese fortress. 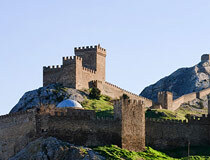 It is one of the best preserved medieval castles in Crimea. Construction of the fortress began in 1371 on the basis of an older building, constructed by the Byzantines in the 6th-10th centuries. Uyutnoye village, Genoese fortress. Opening hours: 9:00-18:00. Cape Meganom. 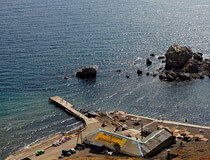 It is the sunniest point in Crimea, a popular holiday destination and place for diving. 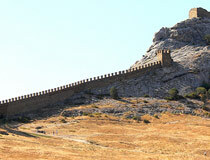 It is located between Sudak and Koktebel. The coastal fortification. 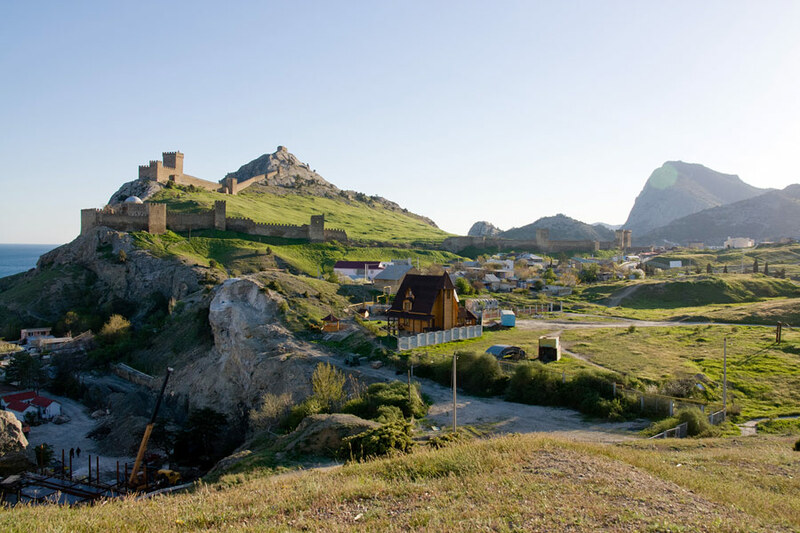 The ruins of buildings of the former Sudak port area are located near the sea, under the Castle hill. The defense tower of Frederico Astagvera (the Port Tower) is preserved. Next to it, you can find a small church. Uyutnoye village, Primorskaya Street, 25 b.
Funk’s Mansion (the historical museum). The museum is housed in a former summer residence of the scientist-philanthropist, the German Baron J. Funk. 13 exhibitions are presented in 4 halls. 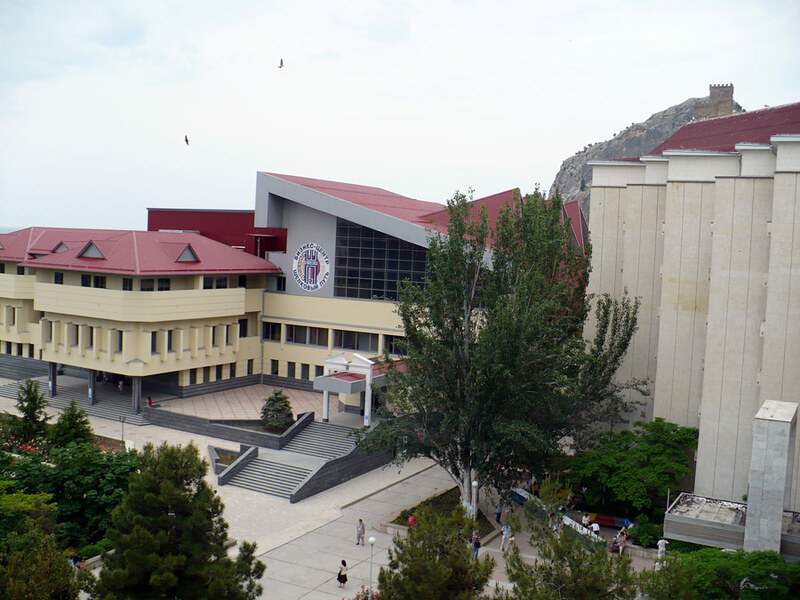 The first hall is dedicated to the ancient history of the region; the second - the period from the early Middle Ages to the 18th century; the third - the economic and cultural development of Sudak after joining the Russian Empire; the fourth - the main historical landmarks of the region from the late 19th century to the present. 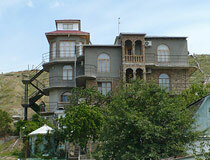 Funk’s Mansion is located in a park on the territory of the sanatorium “Sudak”. Ushakov Street, 1. Opening hours: 9:00-18:00 (break time - 13:00-14:00), day off - Monday. “The Water World”. This entertainment complex is located in the green area on the outskirts of the city, near the sea. Gagarin Street, 79. Opening hours: from June to September - 10:00-19:00.